Almost anything from Savage will be tedious nonsense. That said, perhaps you could explain precisely how we beat teams that come to defend, knowing that we can be vulnerable on the counter-attack - and everyone knows that? We don't try to beat them, we play 3 defensive midfielders, bore every ****er to death and then fall asleep ourselves through total nonchalance and lose the match. We're 11th and he thinks we're punching above our weight even at that? Grow a brain cell Savage... Given our budget and some of the internationals we've got in the squad I'd have thought top half should be about our minimum.. It is a shame he is so bitter. No, Brown Nose, you are not allowed. He’s the manager who has beaten Chelsea and Manchester City and pinched a point at Liverpool this season but Claude Puel still divides opinion. The Leicester City coach has come under increasing pressure from fans and his own players for his style of play. So what are Puel’s Leicester all about? For this week’s Game Dissected we take a look at their strengths and weaknesses. Two hundred and twenty. That is how many chances Puel’s Leicester have created in the Premier League this season, which puts them 13th among Premier League teams, with fewer chances than Fulham (252), Crystal Palace (232) and Southampton (231), who are all farther down the actual table. Thirty one. That is how many goals Leicester have conceded in the league. Only Liverpool (14), Manchester City (20), Chelsea (23) and Tottenham (24) have conceded fewer. Here, in a very crude and simplistic way, lies the crux of the Puel dilemma. His sides can be tough to beat but they tend to be a bit laboured in possession and a bit predictable in their build-up play, struggling to score. They have scored three goals or more only three times this season. They beat League One Fleetwood 4-0 in the EFL Cup, beat Huddersfield 3-1 in the league and scored three against Wolves but lost 4-3. They may be low down the rankings when it comes to chances created but the graphic below tells a story about how they like to attack. With players providing good set-piece delivery, like James Maddison and Ben Chilwell, it is unsurprising to see Puel’s side having created the second most chances from corners and free-kicks. With tall players such as Harry Maguire, Jonny Evans, Wes Morgan and Wilfred Ndidi in their team it is a sensible approach. The other statistic is also telling in terms of Puel’s style. Along with Bournemouth, Leicester have scored the most goals from fast breaks. Indeed counterattacking suits Leicester under Puel and it served them well in their wins over City and Chelsea. The graphic below shows the average positions of Leicester’s starting XI in those two surprise victories. In both games Leicester had only two players positioned predominantly in the opposition half. 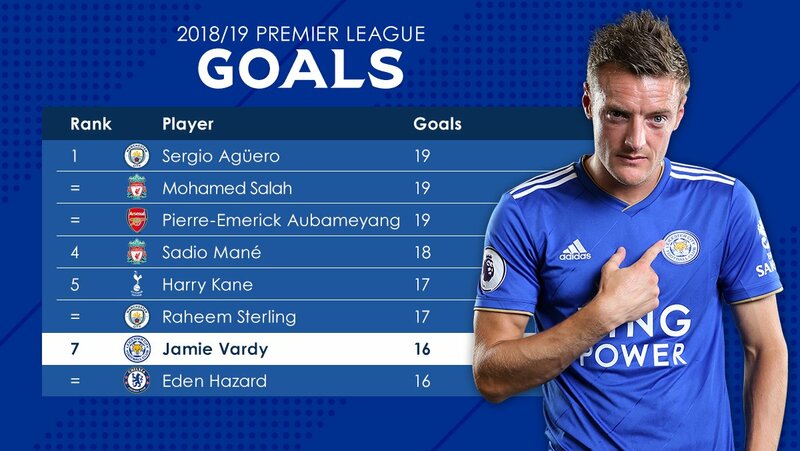 In both games they scored goals with fast breaks after winning the ball back: one by Marc Albrighton to equalise against City and the other Jamie Vardy’s winner against Chelsea. Ricardo Pereira’s winner against City came from a corner. When given the chance to counterattack Leicester play some impressive football, with fast-paced passing, clever movement and their forward players often finding space. The only problem is that they need the space to cause problems. When the opposition sit off Leicester a bit more and allow them to have the ball, they struggle. This was shown in Sunday’s defeat against Manchester United. The average position maps for both teams are shown below. As we can see Leicester had six players in the United half and centre backs Maguire (15) and Evans (6) are not as deep in their own half. By contrast it is United with more players in their own half. Possession also fits into this understanding too. Puel’s side surrendered possession in the wins against Chelsea (27.9 per cent) and City (33.9 per cent) but they had 44.8 per cent of the ball against United. So how does this style play out on the pitch? The image below is from the early stages of Leicester’s defeat against United. United’s Paul Pogba has got down the left wing but is faced with a Leicester side in good defensive positions. They have seven players back in their own box with defensive midfielders Nampalys Mendy and Wilfred Ndidi in front of the defence. Pogba attempts a pass to the edge of the area where Jesse Lingard (and Ander Herrera next to him) are lurking. Mendy easily pinches the ball back (he has made 49 interceptions this season, the seventh most of any player in the league) and releases James Maddison. A potential counterattack is thwarted by a clumsy foul by Lingard. This is what Leicester wanted against United: to sit deep, frustrate and pounce while United players are out of position. The only trouble was that, having conceded an early goal after a poor pass by Pereira, United could play Leicester at their own game. Playing Mendy and Ndidi as a two-man midfield is perfect for Leicester’s Plan A. They were less effective when United sat off. The image below shows Mendy on the ball just over the halfway line and with every United player back behind the ball. As we can see, both the left back Chilwell and the right back Pereira are pushed high on the wings. Chilwell and Demerai Gray are both standing in space with arms raised calling for the ball, a pass which is very much on and would release two Leicester players in threatening positions. Vardy is also calling for the ball, a more difficult pass which would have to split Pogba and Nemanja Matic. As the image below shows Mendy plays safe and passes sideways to Pereira. The right back gives the ball back to his midfield team-mate who passes sideways to Ndidi who collects the ball in the position shown in the image below. Again there is a potential pass to Leicester’s left and, with United still shifting across the pitch, a quick ball to Chilwell could give the left back chance to create with Gray and Maddison. But, like Mendy, Ndidi slows the play and is too cautious, delaying his pass to Chilwell. By the time the left back gets the ball United have moved across the pitch and Chilwell’s cross is blocked. Maddison is one of Leicester’s most creative players. He has created 57 chances in the league this season; not only is that by far the most of anyone in his side but it’s also the fourth highest for any player in the Premier League (it was no surprise to hear boos from the home side when Puel took him off halfway through the second half). But against teams defending as United did, the space for Maddison to shine is limited which is why Leicester’s full backs are important to their play. Chilwell is Leicester’s second-most creative player with 25 chances created while Pereira has created 20, fourth behind Marc Albrighton (21). But if midfielders like Ndidi and Mendy — whom United seemed happy to sit off and have the ball — aren’t braver on the ball and willing to play quicker, more incisive passes then Chilwell and Pereira will struggle to get on the ball in threatening positions and in space. Perhaps a reflection of how Ndidi and Mendy are told to play safe is shown in two examples below. The image below shows Ndidi — with Chilwell and Pereira both out wide — playing an easier pass to Maguire. Perhaps frustrated by his team’s struggles to break down United, the centre back carries the ball more than 50 yards, as the image below shows, eventually winning a throw-in off Ashley Young. The image below again shows Maguire setting an example to his team-mates. With United pressed back on the edge of their area the ball falls to Maguire who, unlike his midfield team-mates who are nearby, does not delay his pass, fizzing a first-time ball between United’s midfielders and wide to Chilwell who wins a corner. Maguire stepping out with the ball not only highlights what a promising modern centre back he is but also shines a light on the cautious approach of Leicester’s midfield. If it takes a 50-yard run from a centre back to drag the opposition out of position it suggests that their play is a little too predictable. It was not until the second half that Leicester upped the tempo but still couldn’t create many clear-cut chances. The example, below, arguably their best chance, came from a late counterattack. With United on the ball near the Leicester corner flag Ndidi intercepted a poor pass from the United right back Young and released Harvey Barnes. The young winger beats two United men before returning a pass to Ndidi, below. The midfielder does well with the ball on this occasion, flicking it on to Shinji Okazaki who, as the image below shows, fizzes a first-time pass into the space vacated by Young. This was Leicester at their best: tenacious in winning the ball back and taking advantage of the space left by their opponents. Barnes shows great pace to collect Okazaki’s pass and gets into the box as the image below shows. With the United centre back Eric Bailly drawn out to close down Barnes and Ander Herrera not quick enough to get back, Vardy is able to find space in the box and should do better after Barnes plays the ball straight to him. The United match was a frustrating watch for Leicester fans (I’m not just guessing at that either, I was sat with three of them when watching it) and it summed up the issues with Puel’s style. It can bring impressive results against big teams but is a little limited. It’s important to say that in singling out Ndidi and Mendy I do not think that they are bad players. Both are excellent defensive midfielders but can seem lacking when tasked with breaking down defensive opponents. Perhaps the addition of Youri Tielemans, recently signed on loan from Monaco, will help add that missing midfield link and help the likes of Maddison, Barnes and Vardy shine. But will Puel be brave enough to sacrifice defensive solidity for added midfield creativity? He may have to if he is going make the Leicester fans happy. Well, he did give half a sentence to the regular occurrence of LCFC going one down in the first ten minutes, but didn’t seem to notice that it’s hard work chasing a game in the PL. Good read and the midfield pairing was correct to begin with but was strange to leave Tielemans out completely meant there was no Plan B available. I think we'll see the same pair start on Sunday too as it will suit our game plan but to not have Tielemans on the bench will be insanity. Liverpool have announced a world record profit of £106m. In their yearly financial results, the Reds made an annual pre-tax profit of £125m - up from £40m - as turnover increased in the 12 months to May 2018 by £90m to £455m, also a record. Liverpool were boosted financially by a run to the Champions League final last season, which earned an estimated £72m. They were also helped by midfielder Philippe Coutinho's £142m transfer to Barcelona in January 2018. Leicester City had held the record for net (post-tax) profit of £80m in 2016-17 (£92m pre-tax) after reaching the quarter-finals of the Champions League in 2017. Leicester City's James Maddison reflects on how he has developed as a young player, looking back at old YouTube clips of his youth games and discussing tougher times he spent out on loan. Watch the full interview on Football Focus at 12:00 GMT on Saturday 9 February on BBC One and the BBC Sport website. 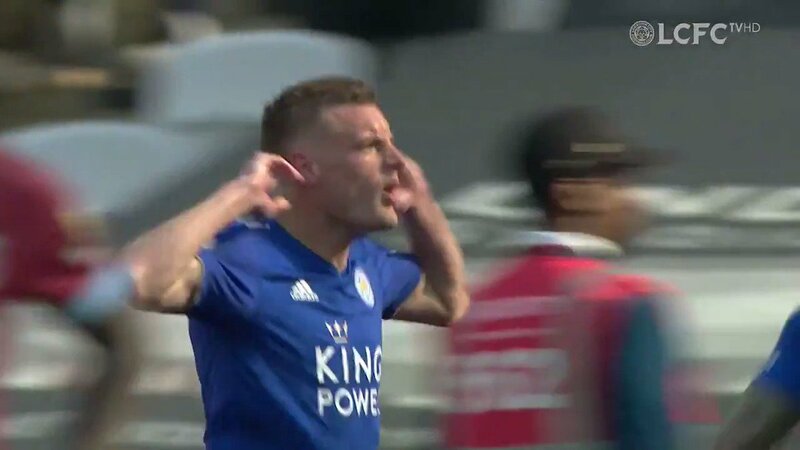 Leicester City are currently English football's most confusing side and, in defeat to Tottenham at Wembley, showed the same strengths and weaknesses they've been exhibiting all season. Many thanks for sharing - enjoyed that read. Ditto, sums it up very well and mirrors my feelings exactly. The Foxes seem to have a plan in place, but will it come together before it’s too late? An excellent article. Thank you. Yep that makes a fair bit of sense. I’ve said on this forum that my main concern is that our better players will go elsewhere, which is always a threat, but would happen more easily if we are not performing ourselves. Didn't Barcelona lose Neymar, and Real lose Ronaldo?